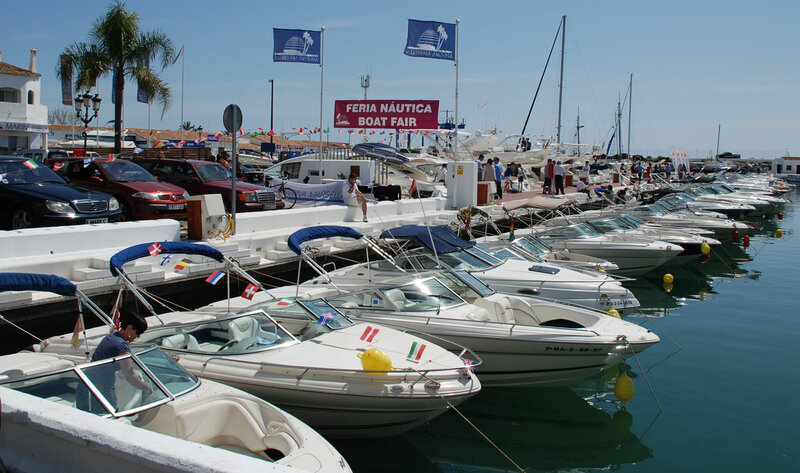 The Pre-Owned Boat Show in the marina of Puerto Banús is just around the corner. During the Easter holidays, between 5th and 9th April, approximately 100 boats from 17 to 84 feet will be exhibited at the show, most of them in the water and available for sea-trials. This will be the perfect opportunity for anyone looking for a good deal and great value for money. The majority of the boats have the added security of a complete service-history provided by the professionals at Marina Marbella. Take advantage of this opportunity and start your boating dream today! As well as the sale of pre-owned and brokerage boats, the Marina Marbella Group focuses on sales, service, importing, exporting and distribution of powerboats and motor yachts of Sea Ray, Chris Craft, Azimut, Jeanneau, Dominator, Lazzara and Marquis. Established in 1965, Marina Marbella has a comprehensive network of offices and service facilities in Spain (Marbella, Puerto Banús, Benalmádena, Málaga, Sotogrande, Barcelona, Ibiza and Mallorca), England, Sweden, Portugal and Morocco.